About the Book : A journalist once asked Y.V. Reddy, 'Governor, how independent is the RBI?' 'I am very independent,' Reddy replied. 'The RBI has full autonomy. I have the permission of my finance minister to tell you that.' 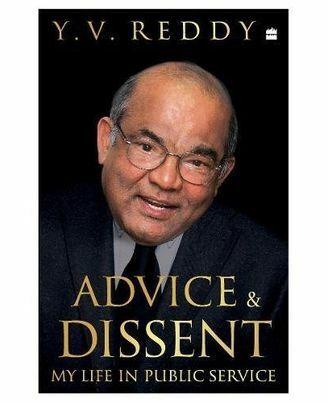 Reddy may have put it lightly but it is a theme he deals with at length in Advice and Dissent. Spanning a long career in public service which began with his joining the IAS in 1964, he writes about decision making at several levels. 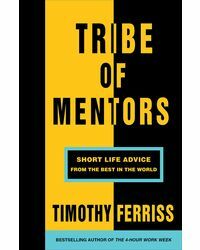 In his dealings, he was firm, unafraid to speak his mind, but avoided open discord. In a book that appeals to the lay reader and the finance specialist alike, Reddy gives an account of the debate and thinking behind some landmark events, and some remarkable initiatives of his own, whose benefits reached the man on the street. Reading between the lines, one recognizes controversies on key policy decisions which reverberate even now. This book provides a ringside view of the licence permit raj, drought, bonded labour, draconian forex controls, the balance of payments crisis, liberalisation, high finance, and the emergence of India as a key player in the global economy. He also shares his experience of working closely with some of the architects of India's economic change: Manmohan Singh, Bimal Jalan, C. Rangarajan, Yashwant Sinha, Jaswant Singh and P. Chidambaram. He also worked closely with extraordinary leaders like N.T. Rama Rao, as described in a memorable chapter. As governor of the RBI from 2003 to 2008 he presided over a period of high growth, low inflation, a stable rupee and ample foreign exchange reserves - a far cry from the 1991 crisis he lived through and describes in vivid detail, when the country had to mortgage its gold to meet its debt obligations. He is credited with saving the Indian banking system from the sub-prime and liquidity crisis of 2008 that erupted shortly after his term at RBI ended. Dr Reddy provides insight into post-crisis reflection undertaken by several global institutions on the international monetary system and financial architecture. In addition, he describes the development of the Fourteenth Finance Commission report, which he chaired, and is considered a game changer. Leavened with his irrepressible sense of humour, Advice and Dissent is a warm, engaging account of a life that moves easily from his career in the districts as a young IAS officer to the higher echelons of policy making, in a trajectory that follows change in the country itself. About the Author : Dr Y.V. Reddy is a former IAS officer of the 1964 batch who served as the Governor of the Reserve Bank of India from 2003 to 2008. He was awarded the Padma Vibhushan in 2010.